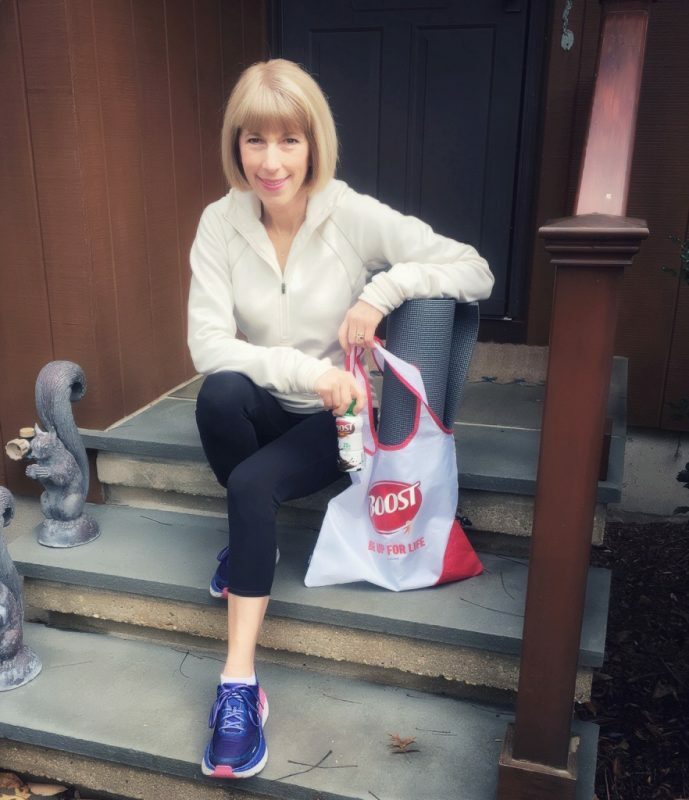 I partnered with BOOST® complete nutritional drinks to create this blog post. All ideas and opinions are my own. The new year is officially behind us, but that doesn’t mean it’s too late to tweak your diet, exercise, and lifestyle behaviors. Admittedly, every year I dream up a new resolution for myself, but to be quite frank, I don’t always stick with it. 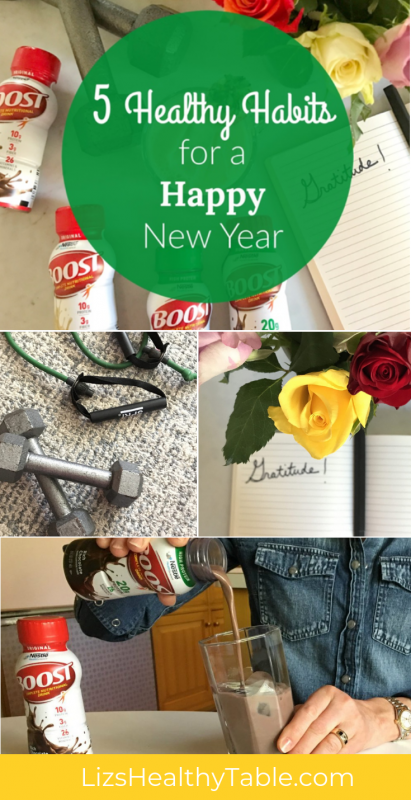 In order for a resolution or new habit to really stick, it has to be realistic and achievable. 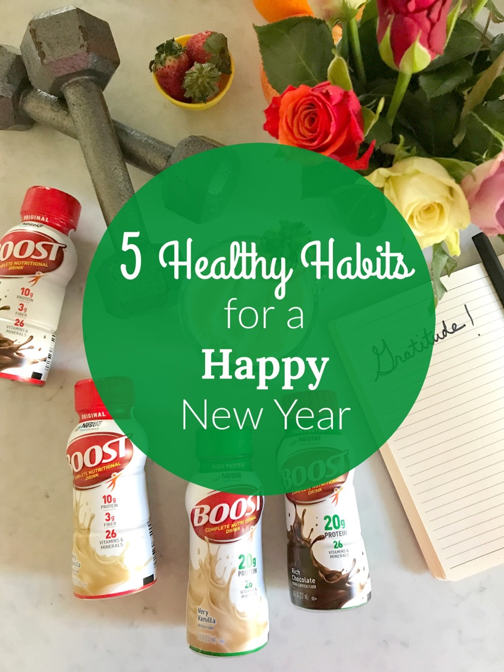 Resolving to go to the gym every day or to go cold turkey on eating sweets may sound great on January 1st, but sometimes those resolutions start to seem out of reach just a few weeks into the new year. 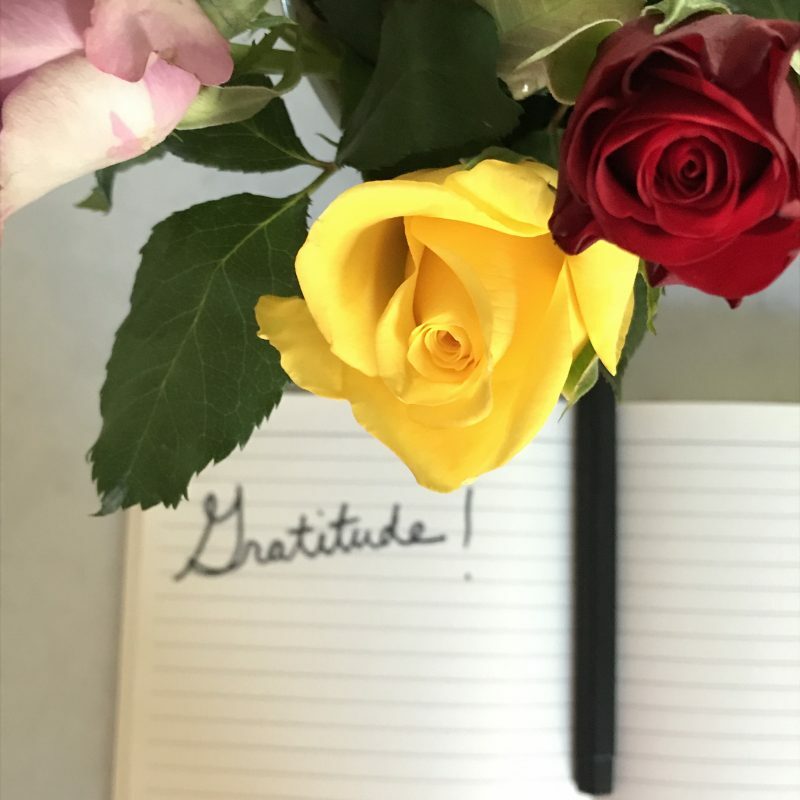 Rather than bite off one big new habit when the New Year rolls around, this year, I’m proposing 5 mini adjustments to get you (and me!) moving more, eating better, and feeling happier. 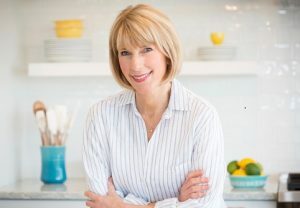 My 5 little lifestyle tweaks are designed to bump up your sense of wellbeing without the all-too-common feeling of failure when drastic lifestyle changes are too tough to keep. These 5 simple actions can result in a whole new healthier and happier you! Older adults who live on their own benefit from the social interaction associated with sharing meals with others; it increases their level of happiness. It makes mealtime more enjoyable when other people are at the table. In a social setting, seniors tend to eat more and make better food choices. After all, when someone else is doing the cooking or you’re cooking for others (grandchildren, friends, etc. ), you tend to choose whole foods versus those that are pre-prepped or packaged. 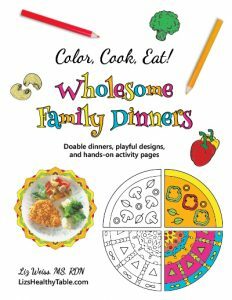 I’m a huge fan of shared family meals, but I use the term “family” loosely. Family can include just about any combination of individuals. It could be a group of seniors meeting up at a community center, a grandparent sharing lunch with a grandchild, or two friends meeting at a restaurant for an early dinner. Eating with others means you’re more likely to linger at the table for conversation, good food, and good cheer. Make it a habit to eat with others this year. 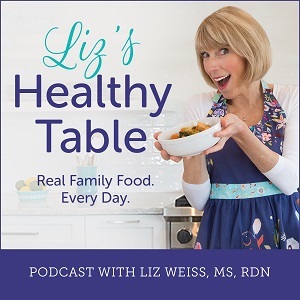 Whether you’re a grandparent who watches her grandkids a few days a week or a parent who’s scrambling to get dinner on the table, the following tips are guaranteed to get you to the table with greater ease. Don’t be too hard on yourself. A family meal can be breakfast or a picnic at the sidelines of baseball practice. 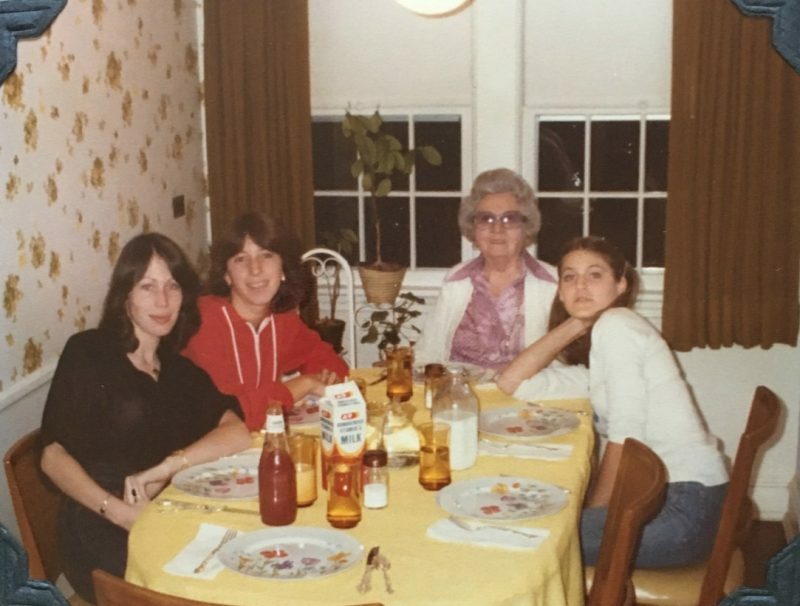 Even if only one adult is at the table, that still counts as a family meal, and it can be any adult including a caregiver, a grandparent, or a neighbor. Meal planning improves the odds you’ll all make it to the table together. 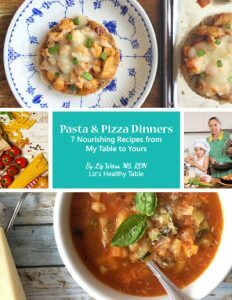 Take the pain out of meal planning and grocery shopping with my free 7-Day Meal Planner and Supermarket Shopping List. Use convenience foods like jarred marinara sauce, canned beans, and salsa to get you to the table quickly but choose those foods wisely by reading labels and comparing the Nutrition Facts Panel. 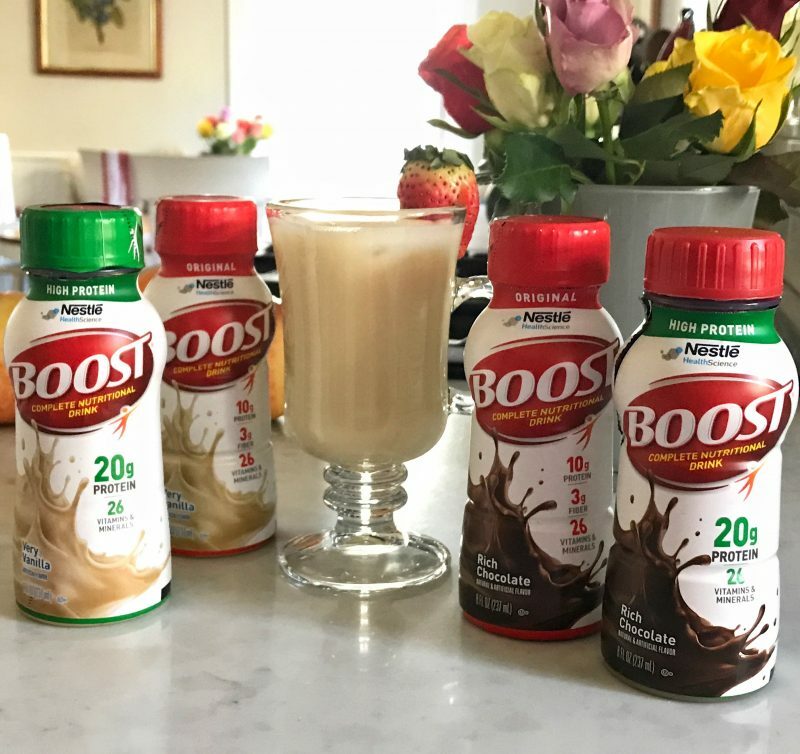 Boost comes in several flavors including Rich Chocolate and Very Vanilla as well as a variety of formulations all with 26 vitamins and minerals. Varieties include BOOST® High Protein, which provides 20 grams of protein; BOOST® Original with 10 grams protein and 3 grams of fiber; BOOST Plus® , higher in calories and ideal for people who want to gain weight (yes some people want and need the extra weight); and BOOST Calorie Smart® when controlling calories is more of the goal. There’s a cool tool on the BOOST® website which actually calculates your daily protein needs as well as the product that’s right for you. I love dark chocolate, so that flavor is a given, but to figure out which product meets my needs, I used the BOOST® protein calculator. After plugging in my health goals, age, body weight, and activity level, the calculator recommended BOOST® High Protein. I turned 58 this year and I know that as I get older, it’s more important than ever to maintain my muscles and stay active. To be completely honest, keeping up with regular exercise is my biggest challenge. Maybe I’m being too hard on myself, because I do vinyasa yoga a few times a week, and when it’s not too cold outside, I take walks. (Dragging myself downstairs to our basement workout room is another story, but more on that further down in the post.) BOOST® High Protein fits nicely into my lifestyle as a snack or sometimes a mini meal. It covers the nutrient gaps in my day and reminds me to keep my body and my muscles moving. Oh, and did I mention that each 8-ounce shake has 35% of the daily value for calcium. My bones are very happy too. 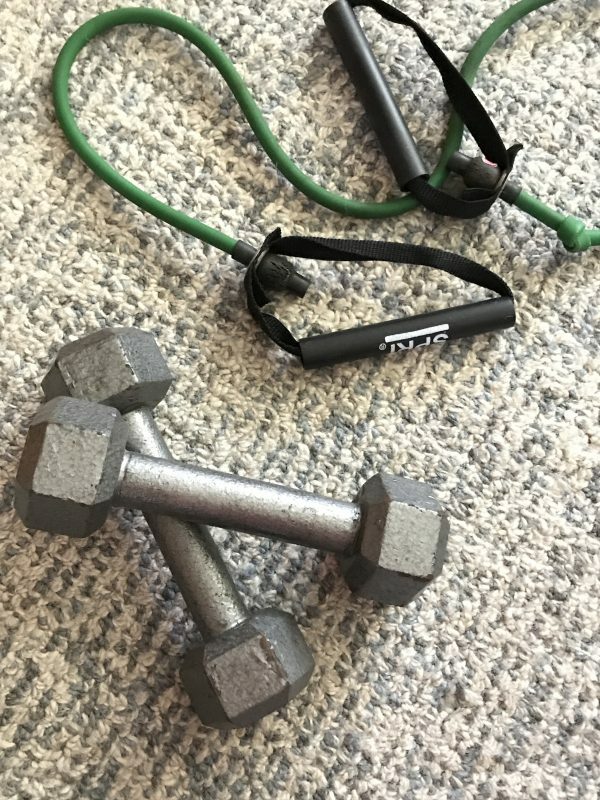 Bring a few light weights into the family room, and whenever there’s 5 to 10 minutes of free time, do 20 squats and a few arm exercises. When you’re on the phone, instead of lounging on the couch, walk around the house. Even better, use headphones so you can do chores while you chat. Every step counts. My friend, Lisa Lillien from Hungry Girl, calls this House Walking. Do 20 pushups when you’re watching your favorite TV show, and in the morning, before you head to the kitchen for breakfast, do 20 sit ups. Giving up sweets is a tricky one. We’re hardwired to love sweet things, so instead of trying to beat the craving, join it and use it to your advantage by choosing sweet foods with health benefits. Turn to naturally sweet foods like fresh fruits and vegetables that satisfy your sweet tooth without the added sugar from things like cookies, candy, and sweet treats. I’m a huge fan of parfaits. 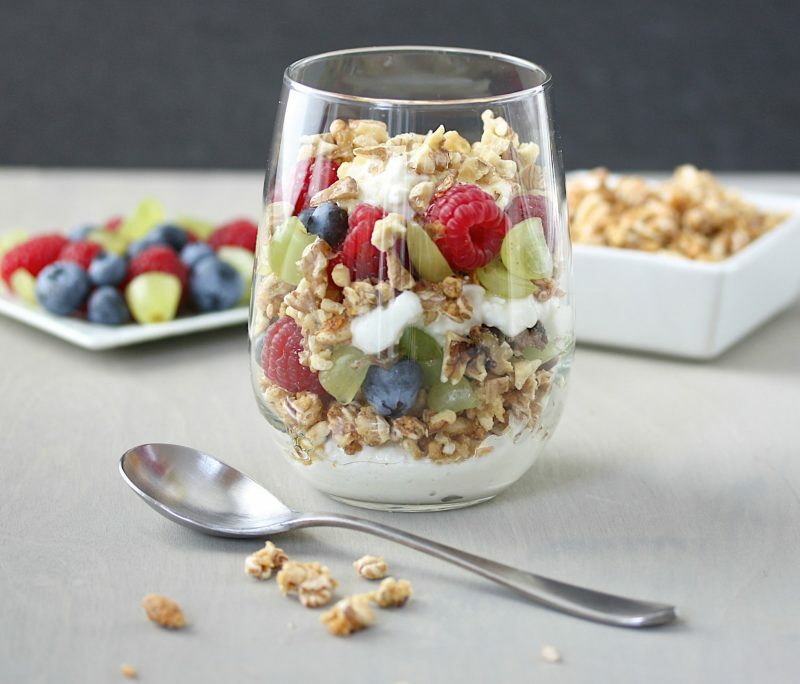 You can make them easily by layering plain Greek yogurt or cottage cheese with your favorite fruits, nuts, and whole grain granola. Or you can whip up a smoothie with low-fat milk, a bottle of your favorite BOOST® flavor, or 100% fruit juice, Greek yogurt, fresh or frozen fruit, and a few baby spinach leaves. Tossing in a few pitted dates can sweeten your smoothie even more without any added sugar. This recipe for BOOST® Strawberry Banana Smoothie is made simply with a bottle of Vanilla or Strawberry BOOST®, half a banana, half a cup of sliced strawberries, and a quarter cup vanilla low-fat frozen yogurt. Yes please! Sip on a warming cup of cinnamon-spiced herbal tea with a splash of honey. Swap sweet for crunchy by snacking on sliced bell peppers or baby carrots dipped in hummus … or a handful of corn chips dipped in guacamole. 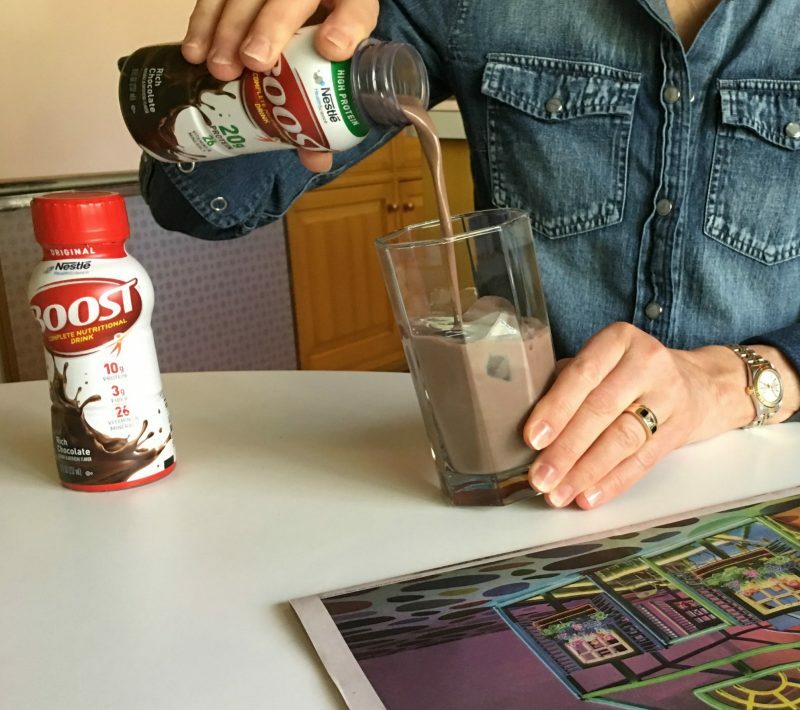 Warm up with a cup of hot cocoa made with BOOST® , a sprinkling of cocoa powder, and dark chocolate shavings on top. Take your mind off sweets by taking a walk instead. Small changes can have a big impact over time. To support and nurture your health and wellbeing, bite off what you can chew throughout the day. Before you know it, all those little tweaks will become new wholesome habits. Tell me what you’ve got planned for 2019 and if any of my tiny tips resonates with you.